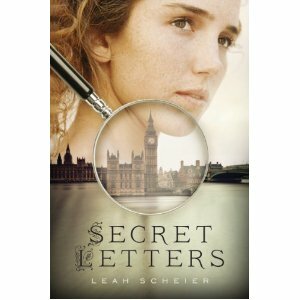 Sherlock Holmes has been re-imagined countless times in modern fiction, and Secret Letters is one more attempt to paint a slightly different picture of the great detective. In this case, we find young Dora Joyce convincing her cousin Adelaide to visit Holmes on the pretense of tracking down the man blackmailing Adelaide with old love letters. Secretly, though, Dora wants desperately to meet Holmes, the man who she recently discovered to be her biological father. Their reunion is not to be, however, as Dora’s arrival in London coincides with Holmes’ apparent death in Germany. While swooning in the street over the shocking news, Dora meets Peter Cartwright, a former associate of Holmes, who manages to draw Dora into investigating the case of the stolen love letters herself. We find in Dora many of the personality traits one might expect in a daughter of Sherlock Holmes. She is industrious and creative in her investigations, and is a likable character. Her burgeoning relationship with Cartwright lends sweetness to the story that will appeal to young romantics. My only quibble with the story is the fact that the blackmail scheme which gets Dora involved in the first place is never really fully explained.The other mystery, however, is interesting and wound up in a surprise ending. This newest entry in the Holmes genre provides a light-hearted read that will appeal to fans of English country house murder mysteries and cozies. It reminded me slightly of The Case of the Missing Marquess by Nancy Springer, which introduced Sherlock’s younger sister, Enola Holmes. I think she and Dora could be good friends.